With narration told by her grandmother Mimi (Diane Ladd), the only person who believes in and encourages young Joy’s as her story begins at Rudy’s Bus and Truck metal shop, where being an imaginative creative girl, she entertains herself through paper models of forests and castles. Based on a true story, the film depicts the rise of female inventor and entrepreneur Joy (Jennifer Lawrence), who rises to fame by hawking her Miracle Mop on QVC. The story is much more than about business success, for Joy is a 1970’s housewife who supports four generations in her house, including her ex-husband, Tony (Edgar Ramirez) and father Rudy (Robert De Niro). With all the heavy-hitters in film coming out these last 2 weeks of the year, it’s doubtful JOY will stand out amongst them. REVIEW: “THE JUDGE” (2014) Warner Bros.
Now down to the movie here. I’m just gonna say I liked it and thought it told a good story. Could the pace of it have been better..yeah..did it have some spots that lagged.. yeah..but it told a good story. As it started off I thought ‘oh no, another dysfunctional family film, I’ve just seen one of those last week and it wasn’t so good (see review https://peggyatthemovies.com/2014/09/20/review-this-is-where-i-leave-you-2014-warner-bros/) but then the story starts to unfold and it’s you realize it’s much more than that. 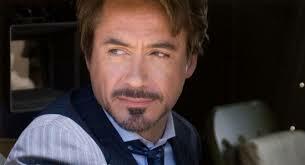 The film starts off with “Hank Palmer” (Robert Downey Jr.) who is a very good lawyer, (and I gotta say, wears a good cut suit like no other here), though possibly not really a ‘good’ man as he knows the people he is defending are all pretty much guilty, but he has a knack for making ‘reasonable doubt’ happen and makes a boatload of money doing it. In the middle of a big trial, he gets called home as his mother has passed. He hasn’t been home nor spoken to his father since before law school as seems he had gotten into a few to many scrapes as a kid/teen and was shipped off to a more disciplinary school type deal. Still Downey makes this character likable and you begin to remember that yes, before Iron Man, he was a really good dramatic actor,can carry & hold his own and that says a lot about him here because while he is still his fun self, he’s also much more. As we delve into the main part of the story here where Hank’s father, “Judge Joseph Palmer” (Robert DuVall) the ‘Judge’ of the small town in Indiana where all of this takes place, is arrested. 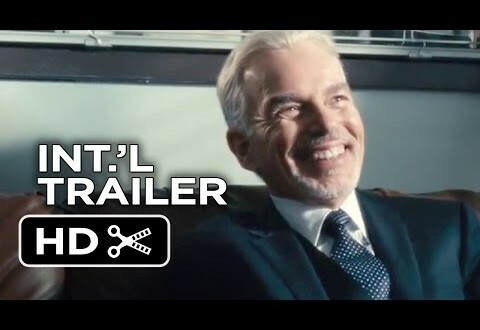 The prosecutor, “Dwight Dickham” played by Billy Bob Thornton, makes it clear that in many ways, Downey Jr. and his accused murderer father are actually kind of the bad guys here. It’s up to the jury to decide in a fun scene with Downey Jr., & Dax Shepard, who plays the country bumpkin lawyer hired because initially the Judge doesn’t want Hank representing him in this case but in reality, the court case is really secondary and there’s no big mystery to be solved. 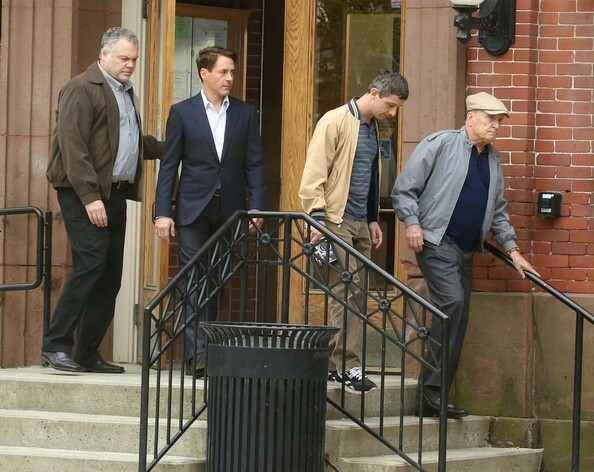 It’s first and foremost a father-son story, the main hook being whether or not Downey and his somewhat unfriendly, estranged father will be able to come to terms with each other, and not whether he’ll be convicted and go to jail. The success lies in the fact that ultimately you are rooting for these two guys to sort out their issues with each other, even if both are headstrong and often exasperating. With that in mind, this movie is not a complete success in all the way around. For one, the characters of his older brother, “Glen” (Vincent D’Onofrio) and his younger, somewhat mentally challenged younger brother “Dale” (Jeremy Strong) are almost completely irrelevant to the story for exception of a bit of background in that Glen serves a purpose as when they were teens he was a star baseball player and got in a car accident with Hank, who was driving while under the influence of basically everything, was injured and never could play again which led to the estrangement between father and son. The same thing could be said for the character of “Samantha” (Vera Farmiga) who plays Hank’s old girlfriend/new possible love interest with a kinda icky sub-plot of her daughter “Carla” (Leighton Meester) whom Hank has a torrid make-out scene with, but whom could possibly be his daughter. All of this, plus a bit more even, are the lagging parts I previously spoke about and easily could have been cut-down which would have made this movie a much more manageable watch time-wise. There are a lot of sub-plots going on here as Hank is going through a possible divorce, wants to see his daughter more, Duvall’s character has numerous things going on all over the place and to get into detail about them all would not only be time-consuming, but spoil the movie for you. Needless to say, they all get woven in together quite well I think due to the fact you have strong actors playing the two lead roles who also mesh well together on screen and in this movie. 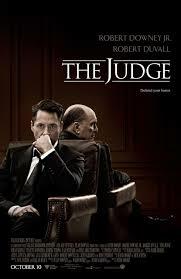 I don’t think “The Judge” is going to win any awards and I’ve been wrestling with my own ‘grade’ of the pic.. because I think it does tell a good story, has the makings to do somewhat well at the box office considering the star power of the cast, and it has that ‘feel-good/tug at your heart’ thing going for it. It also has definite entertainment value and it does work on a lot of levels. With all that going for it, it is far from perfect but yet, is a crowd pleaser. With that.. I’m giving it ….